There are many different options for a good security company, and one of the more popular choices seems to be Protection 1. But not everyone is happy with this company, and some of the unhappy customers will want to cancel. They’re no longer interested in being locked into long-term contracts, but getting out of those contracts isn’t always an easy thing to do. In some cases it’s very difficult, and it can also be expensive. That’s why it’s so very important to read the contract before signing it — but for people who are already stuck the idea is now to figure out how to cancel with the least amount of financial damage. That can help them get out of their Protection 1 contract and move on to a company that’s a better fit for them. When it comes to canceling a Protection 1 contract, it’s important to say farewell to the company in the right way. By doing that, a homeowner can get away from the company in the easiest and least stressful way possible. Without following the right procedure, though, it’s not possible for a customer to get their Protection 1 contract canceled correctly and stop being charged for monitoring services every month. In some cases customers have continued to be charged, and that’s an unfortunate way to handle things. But proper cancellation procedures can help avoid all of that. Calling the company is the first step, so that the homeowner can talk to a real representative of the company about their specific situation and how best to handle their contract concerns. Cancellations that are not completed are not actually cancellations, and that can leave a homeowner on the hook for the monthly monitoring fee and any other charges they agreed to when they signed the contract. That’s why following up to ensure that the contract was canceled is so very important. It can help reduce the risk to the homeowner and make it easier for them to have some peace of mind. They’ll also stop being charged for their monthly monitoring fee, so they no longer have to worry about how much the contract is costing them. 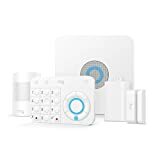 Those are all very important things to get in a home security system, and when they’re offered by a company that customers can trust and feel good about, it’s a winning combination. By doing research into the company the homeowner is going to choose, they can make the right overall choice for their present and future monitoring needs. Is it time for a monitored home security system? Get a free quote from Protect America today.